One-click registration and login from Facebook and 10 major social networks. Let your users access your site quickly and easily with no forms, passwords, and usernames to remember. Add Facebook Comments, Facebook Likes/Shares, Google +1, Twitter Share, LinkedIn Share and Pinterest Pin buttons automatically to your content. Show the news feeds from Facebook Pages & Facebook Groups, Twitter feeds and LinkedIn Company Pages. Streams are fully customizable and can chose posts from multiple providers merged into one feed. Easily 'push' your content along with a custom comment and URL to Facebook Pages & Facebook Groups, LinkedIn Company Page or Twitter stream. Works with all extensions! Describe your pages to Facebook, Google+ and LinkedIn using Open Graph tags, which are used to set you're thumbnail preview in user's Timelines. Twitter Cards are a similar set of meta tags specific to that social network. With Facebook's Open Graph Actions, you can post content to a user's Facebook Timeline about activity on your site. 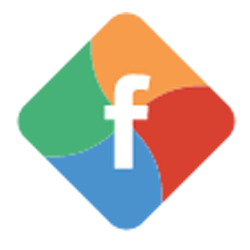 Facebook Open Graph Actions integrate with Joomla content, EasySocial, JomSocial, EasyBlog, jReviews, K2 and more. Import user Facebook and other social network profile information including avatar and cover photo. Fully control your site's fields and what social network data should be imported into each one. Works with the User - Profile plugin, JomSocial, EasySocial, Community Builder, Kunena, K2, Virtuemart and more. Almost 20 Facebook widgets, including Facebook Likes, Facebook Shares, Facebook Comments, Facebook Friends and Facebook Page Plugin. Let your users invite their Facebook friends to your sites. Configure a customized 'welcome' page for recipients as well to woo them in. Don't mess with Facebook App settings yourself; JFBConnect can configure your Facebook Application automatically and check for common mistakes and errors. Includes translations for nearly a dozen front-end languages. Detailed configuration guides take you step-by-step through all social network integration features available for Facebook, Twitter, Google+, LinkedIn, Instagram, VK, Github, Amazon, Meetup and Windows Live. It ask for subscription ID to configure all the plugins! it just need valid subscription id for Error CHeck section in AutoTunethat is an online service from developer site. we can not provide a valid subscription id to you. Hi any preview for the last version ? Please provide the latest update version JFBConnect v7.2.2 for Joomla 2.5 and 3.X (10/08/2017) THANKS! Please provide the latest update version JFBConnect.